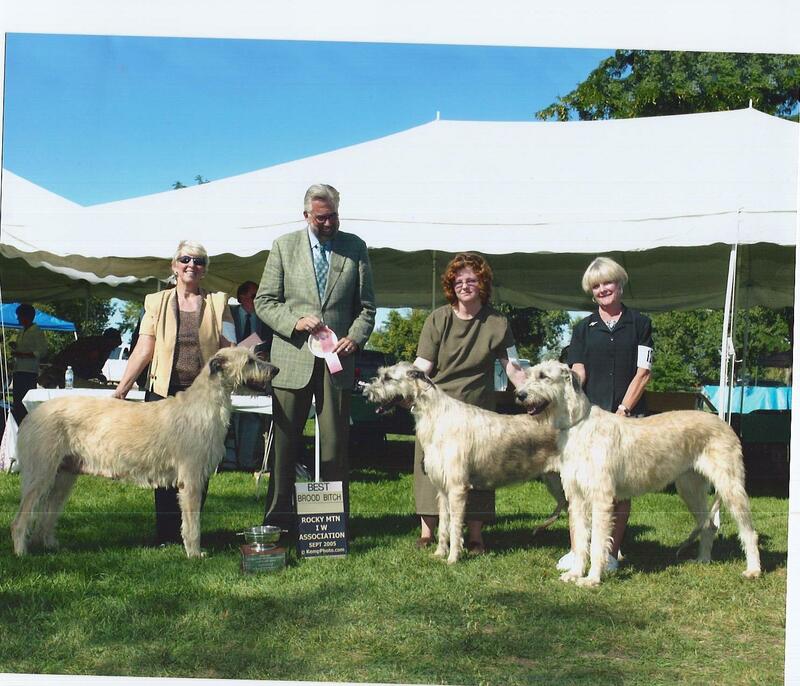 We strongly suggest that anyone interested in this breed should go to the website of the Irish Wolfhound Club of America and study every bit of information offered there. This breed is NOT for everyone! 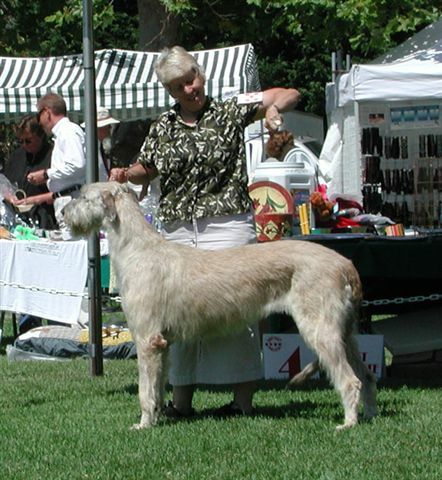 We love to talk about Irish Wolfhounds. about the breed or about our dogs and breeding program. 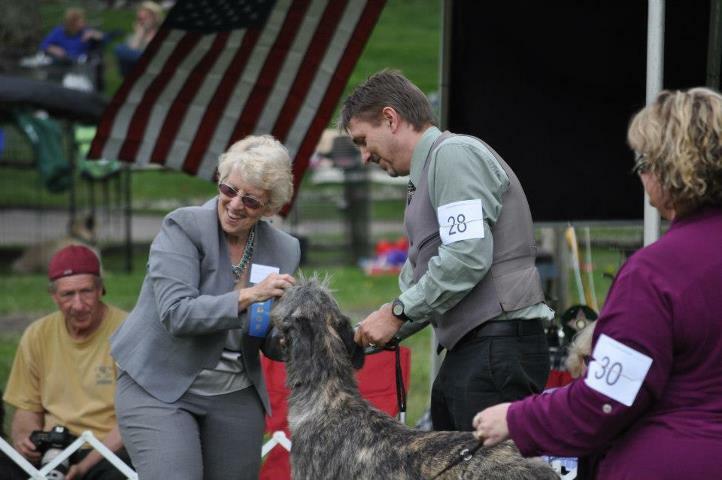 Lynne Rosebrock, judging Sweepstakes at the 2013 Irish Wolfhound Club of America National Specialty.